A Japanese sword, katana is a single edged blade, curved, slender but cut anything! Katana is known for its excellent quality; it can cut thin paper to iron board. 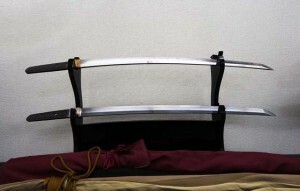 To see the power of katana, a Japanese TV show experimented in katana. First, they shot toward katana‘s edge with a M1911 pistol for several times and katana split every bullet. Then they tried the same thing with a machine gun, this time katana was broken but survived 6 shots and split the bullets. You can see the video on YouTube. Just search “katana machine gun” and you’ll find several videos. 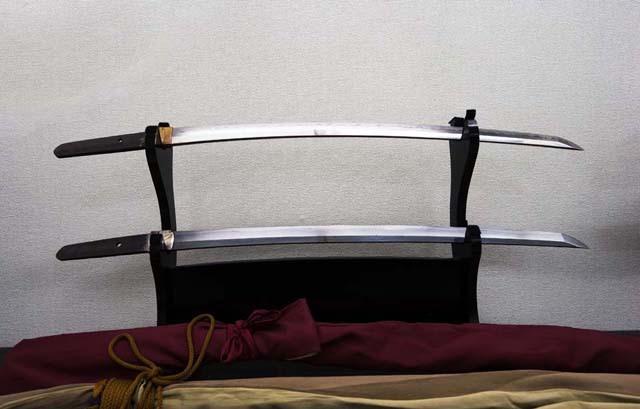 The samurai believed that the katana had a soul, the metallurgy involved in this wonderful artifacts is very complex and was very above of it’s time, some katanas are considered national treasures in Japan. Thank you for additional information about katana, Juan. You must be familiar with katana as much as kendo. It’s so profound and interesting, isn’t it? Eye-catching Picture on Bowling Pin! ?